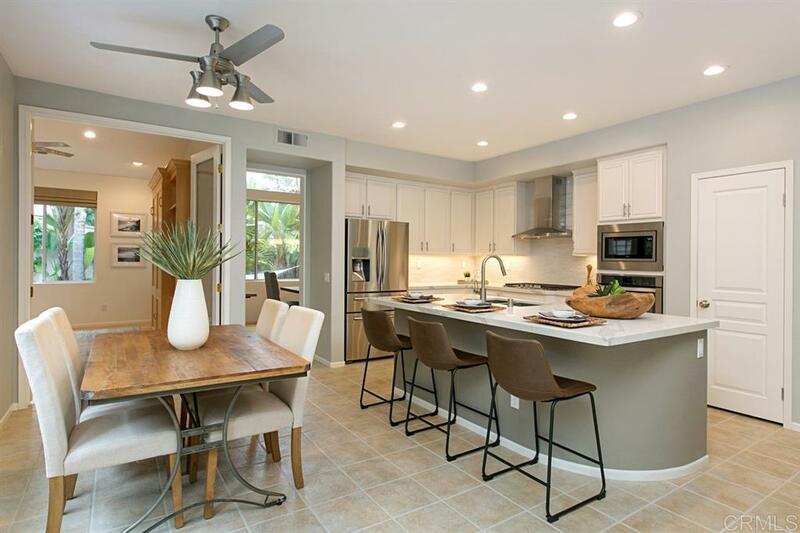 Come fall in love with this remodeled and meticulously maintained home on a 8,000 sq. ft. lot in cul-de-sac. First time this home has been on the market. Stunning white kitchen with oversized island, quartz counter-tops, SS appliances & pantry. Guest bedroom & office/5th bedroom downstairs. Owners expanded kitchen & great room with permitted addition. All bathrooms have been updated and new carpet/paint. Fab built-ins. The private & oversized yard w/ large grass area & fire pit is great for entertaining!, This light and bright home is turn key and has it all. Starting with a white kitchen with a gorgeous quartz island and new appliances. Fabulous yard size, cul-de-sac location, guest room and office downstairs and many recent updates. Home is easily cooled in the summer months with the exhaust attic fan. Enjoy the large sized bedrooms, convenient parks and nearby walking trails.